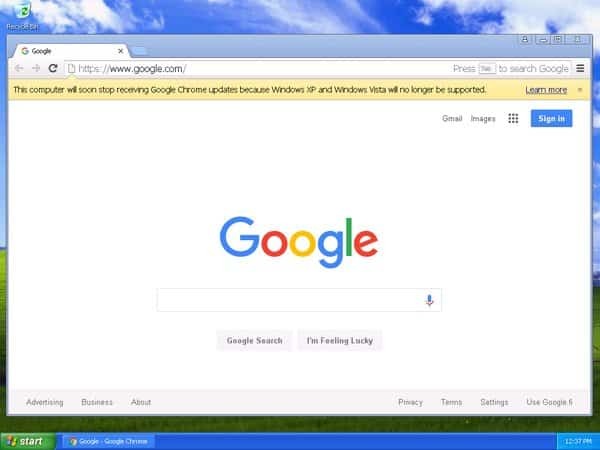 If you still run on a Windows XP or Windows Vista, when you open Google Chrome, you will see a yellow bar on the top that says: “The computer will soon stop receiving Google Chrome updates because Windows XP and Windows Vista will no longer supported“. This is very annoying thing, because its shown every time, when you start your Google Chrome browser. 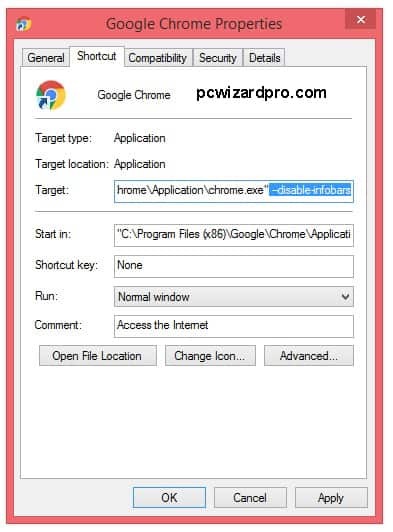 Here we present the procedure how to disable this toolbar, called “infobar”. 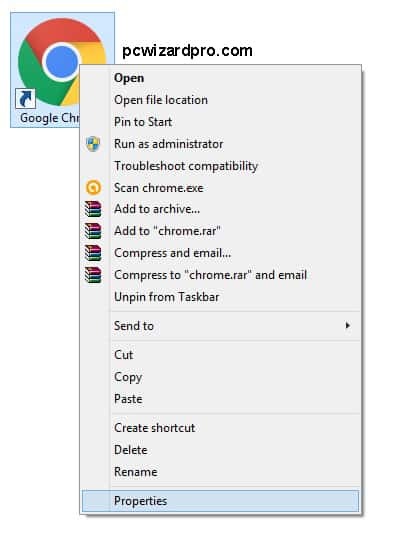 Right click on the Google Chrome Shortcut, and select Properties. On the new windows that gonna show after clicking Properties, we need to edit the Target. We actually need to add this command (text): “ –disable-infobars” without the semicolons. Notice that the text have a space in advance the two minuses signs, as shown on the next picture. Also notice that there are two minus “-” signs. After that click Apply, and the infobar will not gonna be shown again. 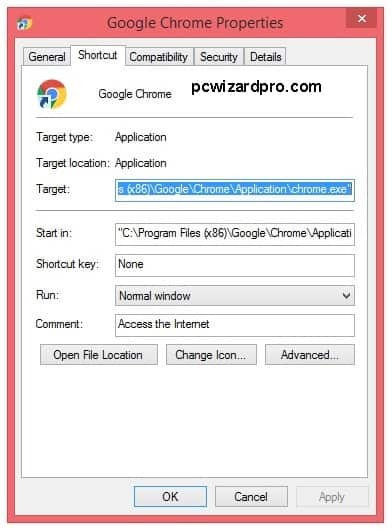 This entry was posted in Maintenance and tagged google chrome, windows vista, Windows xp by Tome Trajkov. Bookmark the permalink. “ –disable-infobars” without the semicolons. Notice that the text have a space in advance the two minuses signs, as shown on the next picture. You need to input — (two minus signs) not – (one). Yes, thanks for the suggestion but that is noticed in the text. Best Regards.